We are expanding our portfolio and offer our customers and SOLARKAUF partners a sustainable product programme on the subject of energy. 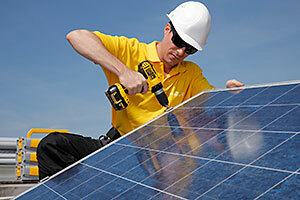 SOLARKAUF provides you with first-class quality products throughout Germany in the field of photovoltaics. We expand our high-quality portfolio through alliances and together with our own brand Luxra and the supplementary products of leading manufacturers, we offer a reliable and sustainable product programme on the subject of energy to our customers and Solarkauf partner companies. Additionally, we support you with competent all-round service - from the perfect system design to profitability forecast. Our Luxra products achieve the highest quality standards and offer the security of long-term planning. We are looking for sustainable and reliable partnerships - with our customers - with our Solarkauf partners - with our product partners.